The British Virgin Islands’ land-based, overnight visitor arrivals increased 3.3 percent year-over-year in 2016—a positive development but hardly on par with double-digit growth posted by several other Caribbean destinations. However, the territory’s total of 406,027 overnight visitors in 2016 marks the first time the destination has exceeded 400,000 overnight visitors. Moreover, for the five-year period from 2012 to 2016, overnight arrivals to the British Virgin Islands (BVI) increased by 15.5 percent. The arrivals increase follows agreements reached in 2016 among the BVI government, Delta Air Lines and Seaborne Airlines to increase air access to the territory and allow customers to purchase a single ticket for select flights between the United States and Caribbean destinations served by the carriers. Under the program, Delta Air Lines customers can book Caribbean travel with connections to Seaborne-operated flights between San Juan, Puerto Rico and St. Croix, St. Thomas and St Croix, San Juan and Anguilla and San Juan and Beef Island, BVI. The agreement is one of several such pacts Caribbean destinations announced in 2016 that will expand airline service and links to the region. The BVI’s visitor increase also coincided with the closure of the territory’s largest resort, Rosewood Little Dix Bay, which launched an ongoing major renovation of the 50-year-old property. 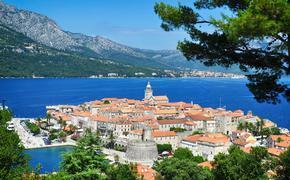 The project includes complete refurbishment the resort’s rooms and suites, as well as its three restaurants. The resort’s landscaping will also be revamped. Rosewood Little Dix Bay is slated to re-open at the end of 2017. “The BVI Tourist Board has been successful in its efforts at navigating what has been a challenging year for tourism in the BVI with impacts such as the closure of Rosewood Little Dix Bay and Biras Creek Resorts and the zika virus,” said Dr. Orlando Smith, the BVI’s premier and minister for tourism, in a CaribbeanNewNow.com report. While the territory’s land-based visitor growth was solid yet unremarkable in 2016, the BVI’s cruise passenger traffic grew sharply, with 699,105 visitors, representing a robust 35.4 percent increase. The huge jump in cruise visitors is largely tied to the BVI’s launch of a new cruise ship pier in late 2015. 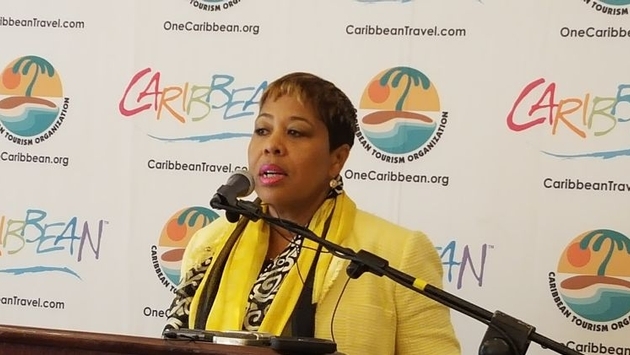 “We have seen a significant increase in cruise arrivals to the territory since opening the new extended cruise ship pier and Tortola Pier Park in 2015,” said Sharon Flax-Brutus, BVI’s director of tourism.